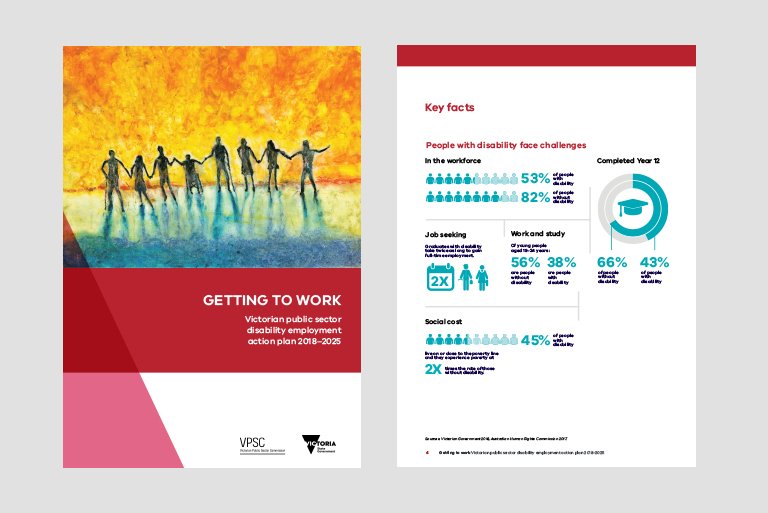 Over the past six months, the VPSC has led collaboration between government departments, agencies and offices to develop Getting to work: Victorian public sector disability employment action plan 2018–2025. The VPSC worked closely with the Enablers Network, the public sector’s network for people with disability, throughout this process. The plan was developed as a commitment under Every opportunity: Victorian economic participation plan for people with disability 2018–2020. Actions are designed to lift the representation of people with disability within the public sector workforce from four per cent to six per cent by 2020, doubling to 12 per cent by 2025. The plan adopts the social model of disability – a contemporary approach geared toward removing environmental and social barriers to employment as opposed to focusing on what a person can or can’t do because of disability. Most actions are new. Others are based on scaling existing successful initiatives. Getting to work recognises that every workplace is at a different stage of disability awareness and confidence and that a range of approaches will be required to drive real change. 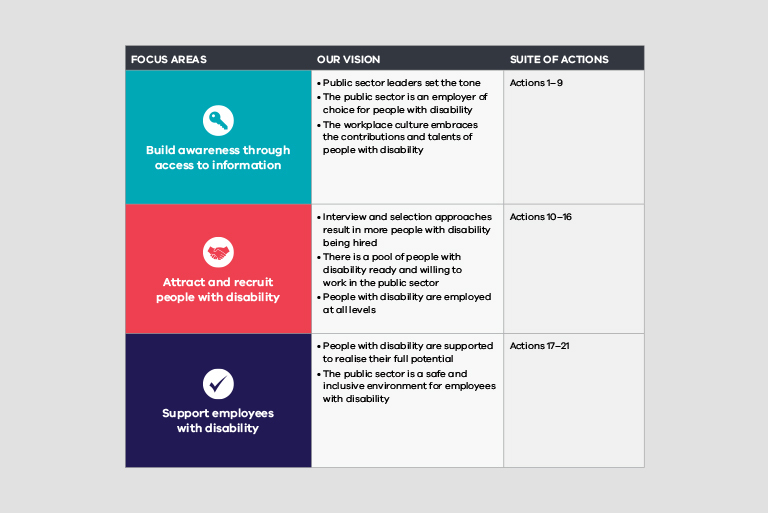 Our vision is a capable and diverse public sector that reflects the diversity of the Victorian community and benefits from the experience that people with disability bring to the workplace. Getting to work features cover artwork by Luke Gaetano, a Victorian artist with disability. The artwork is called “I can see the light” and it represents a fully inclusive workplace. Getting to work outlines 21 actions grouped into three focus areas.